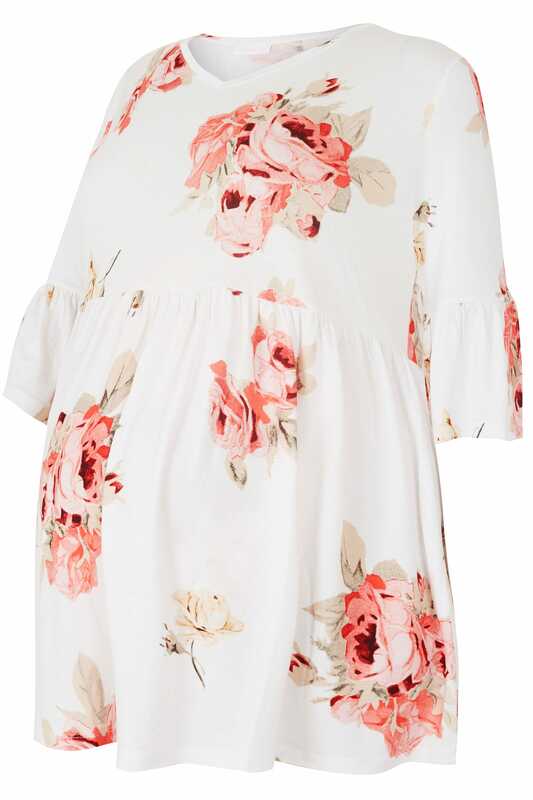 Stay stylish throughout your pregnancy with this elegant top. In a slight swing style, it features an elasticated waistband for a perfect fit and 3/4 length sleeves in a fashion forward flute design. Team with a pair of our light wash maternity jeans and flats for effortless daytime appeal. 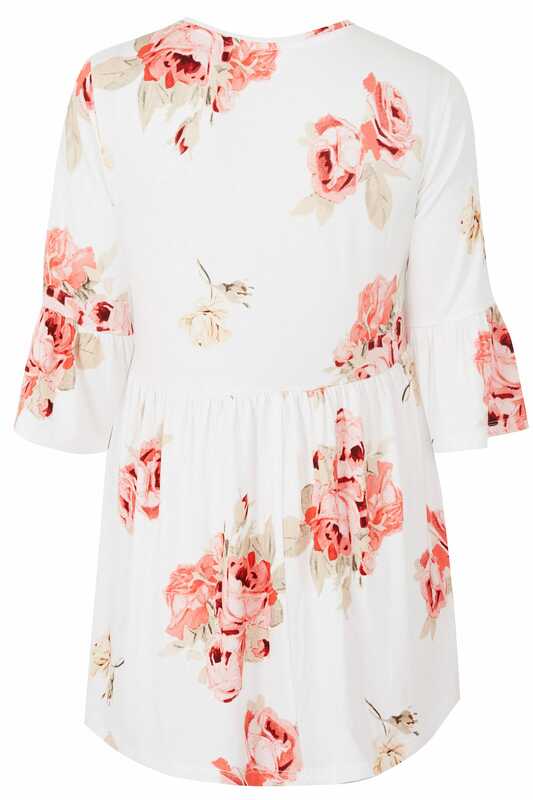 Effortlessly combining style and comfort, we love the super-soft fabric and the colourful floral print.